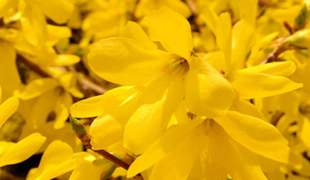 The Seoul Metropolitan Government designated the forsythia as the official flower of Seoul on April 3, 1971. The flower is considered the most appropriate symbol of Seoul’s climate. Forsythias come into full bloom in early spring and symbolize the cooperative spirit of Seoulites. 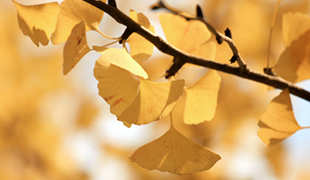 The Seoul Metropolitan Government designated the ginkgo, known for its beauty, longevity, and strong resistance to pollution, as the official tree of Seoul on April 3, 1971. As a tree that grows large and strong, it symbolizes the development and prosperity of the nation’s capital. Traditionally loved by the Korean people, the magpie is believed to be an auspicious bird and a messenger of good fortune. According to a Korean folktale, magpies formed a bridge to help two star-crossed lovers reunite. 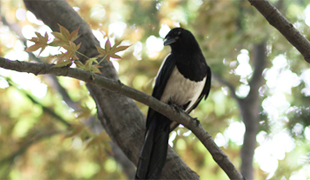 The magpie was chosen as the national bird of Korea in 1964, after receiving a substantial amount of votes in a national contest.